Today, I’m pleased to announce the release of qTrace 2.5. When we released qTrace 2.0 in May, I thought it would take a while before there will be another release that is as significant in terms of new features. I was wrong. qTrace 2.5 is a big release coming with many improvements and bug fixes most of which have been requested and reported by our customers. This post examines some of the most important enhancements of this major release. Screen flow and actions capturing has always been qTrace’s killer feature. After all, what could be a bigger time saver than having a tool unobtrusively capture screens and actions as you perform testing and generate a bug report with those screenshots and actions? Yet, in many occasions, such detailed bug report with multiple screens and steps are overkill. Most of the simple defects need no more than just a screenshot. While snapshot capturing has always been supported by qTrace, it is by design, a second-class feature and very limited in terms of functionality. As we talk to our customers, we came to realize that snapshot capturing should be a first class feature. That called for a complete redesign of qTrace’s capturing feature. qTrace 2.5 makes snapshot capturing as accessible as the screen flow capturing: it is accessed via the famous big button in qTrace control panel. 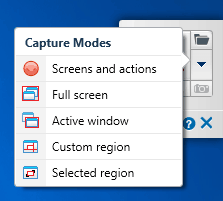 That’s not all, besides the full-screenshotcapturing, qTrace now also supports 3 additional snapshot capturing modes: Active Window, Custom Area and Selected Area. With these additions, qTrace is a perfect tool for simple and complex bugs alike! Attach additional files to a bug record. This is useful if you want to include log files, etc. 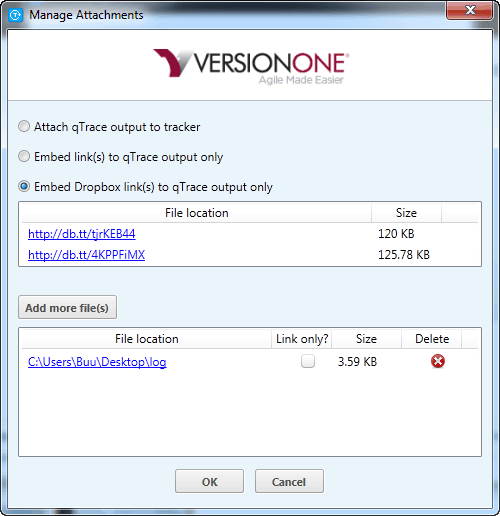 without having to fire up the browser and do the attachment outside qTrace. Attach only links to qTrace output. 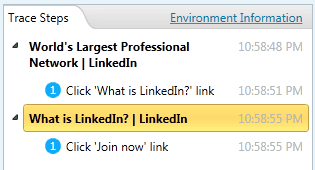 You can store qTrace output in a shared folder and embed only the link in the submitted bug record. This is useful if you have a large bug document that you don’t want to or are unable to upload to a tracker. Attach Dropbox links. 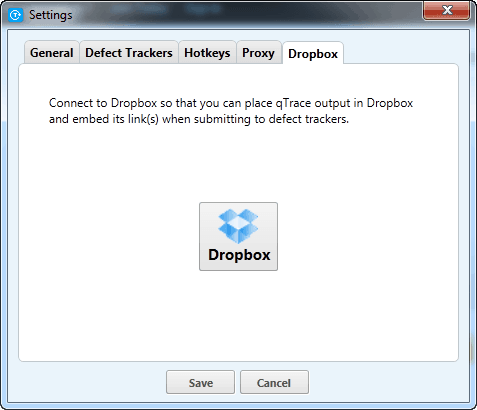 Similar to the previous feature, except that qTrace can automatically upload the output to your Dropbox account and use its link to submit into a defect tracker. And yes, these enhancements are available to all defect trackers supported by qTrace. This release has brought the qTrace-FogBugz integration to a new level! Via an additional FogBugz plugin that can be deployed to both your on-demand and hosted FogBugz instances with just a single click, qTrace can now recognize the workflow rules configured for your projects. If the plugin is installed and enabled, qTrace will obey the forced and unforced default assignee for a new case. To better support testers who practice session-based testing, qTrace 2.5 includes the option to capture and display timestamp associated with every screen and action. Besides, the duration of the record is also captured. Not only will this information be shown in qTrace’s editor, it will also be exported to qTrace output as needed.